A win against Borussia Mönchengladbach on Saturday would make FC Bayern München autumn champions, but star forward Thomas Müller has his sights set on bigger goals. Yet to be beaten in the current season, Bayern are eight points clear at the top of the Bundesliga table ahead of Matchday 15. and will be looking to end Gladbach's nine game unbeaten streak under head coach Andre Schubert. Victory against the Foals would mean no other club would be able to catch up with Bayern before the winter break, securing Pep Guardiola's side the traditional honorary title of Herbstmeister. Müller, though, has bigger fish to fry. “For me personally, the title of autumn champions isn't important in the slightest,” the Bayern forward told kicker this week, “the most important thing is that we are top of the table in May”. With 20 goals in all competitions in 2014/15, Müller is in the form of his life. He has found the net 13 times in the Bundesliga this season already, equalling a personal record before most people have put up their Christmas trees. The popular forward is staying characteristically cool, however. “We need to keep concentrating until the winter break, and try and pick up all the points we can find lying around,” he remarked. 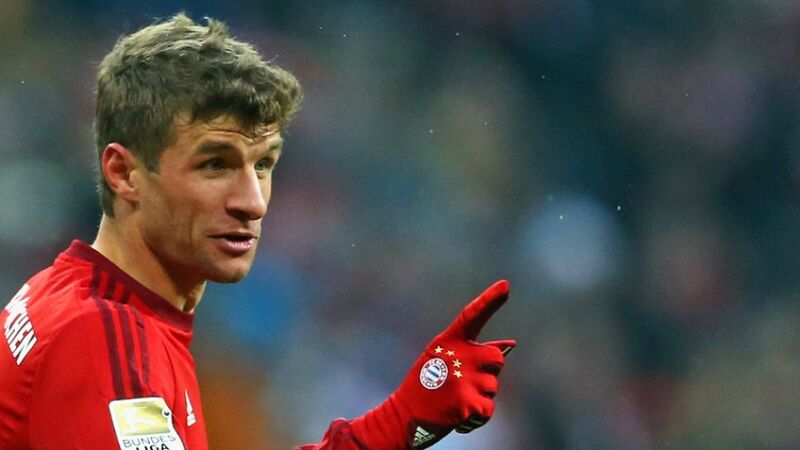 Check out our exclusive mini-site on Thomas Müller here. Click here for the statistical skinny on Bayern's upcoming trip to Gladbach.